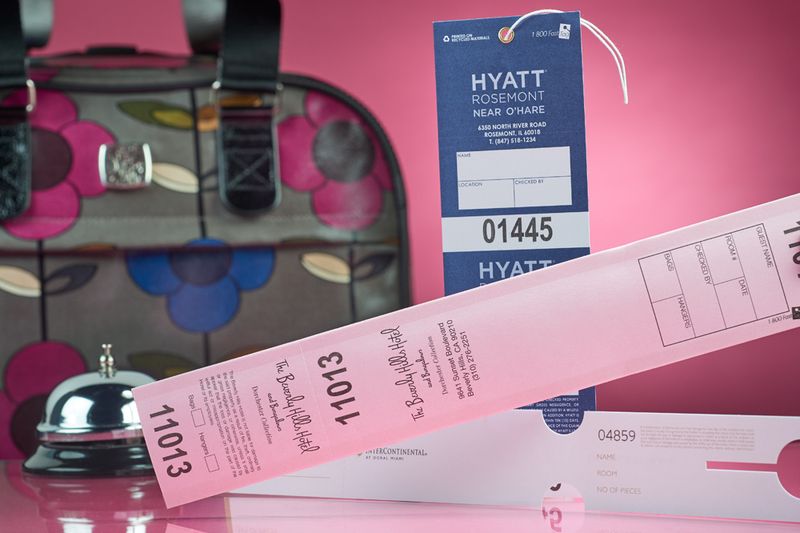 Tailor made to reflect your property's brand and needs, our single bag luggage tags provide bell service with quick tagging and quick baggage retrieval which saves time, eliminates lost luggage and minimizes liability. Maximize guest satisfaction by giving them the peace of mind their belongings will be secure. And take advantage of an opportunity to offer your guests a promotion that will make them feel like VIP's and boost revenues by generating new business in hotel restaurants, spas and shops. Prestige Lane has been serving customers since 1934 – remarkably enhancing the guest experience. We have a strong commitment to helping our customers better serve their customers. Thanking you in advance for your interest! © 2016 Prestige Lane Hospitality Brands, a Division of Beekley Corporation. All Rights Reserved.